Ski and Meditate On Saturday, Feb. 17, a group of 21 skiers, snowboarders and hikers joined together on a beautiful, bluebird day. 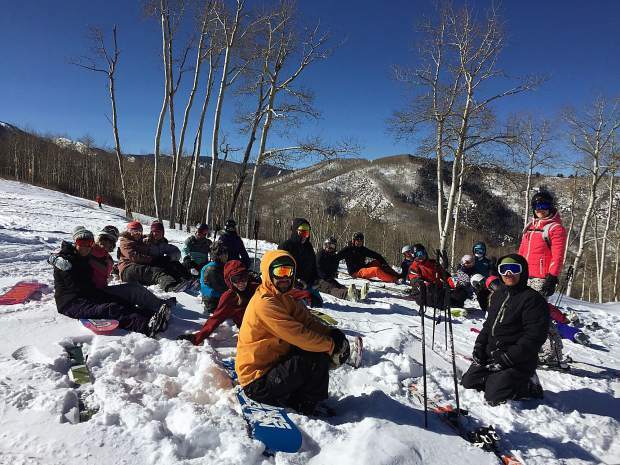 They enjoyed a few runs together and then converged with the hikers to experience a wonderful guided meditation led by Conscious Transformation Trainer Mandy Benedict. Everyone enjoyed an inspiring day filled with fun, peace and connection. Join the free Conscious Transformation Group on the first Wednesday of every month at the Singletree Community Center at 7:30 p.m. The next gathering will be held on March 7. Visit ConsciousTransformation.com/Community/Vail to learn about additional community events including the next Ski and Meditate on March 31. Contact Mandy.Benedict@ConsciousTransformation.com or call 970-904-1233 with any questions.